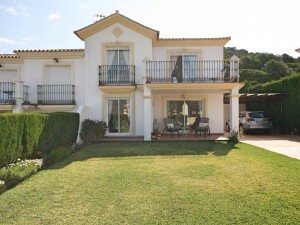 This 4 bedroom 4 barthroom villa built on two floors has Stunning Seaviews, absolute privacy on terraces and pool. 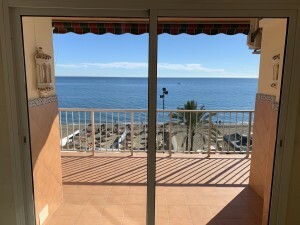 Built to an extremely high specifiactation.. From most rooms and all terraces you can enjoy the open seaviews. The entrance lobby leads to a good size lounge and dining room, separate fully fitted kitchen, Master bedroom with en-suite and 2 terraces and garage for one car are on the entrance level. On the lower level 3 large bedrooms each with ensuite bathroom. Covered terrace with private bar, uncovered terrace with private pool. The villa was built in 2001 by Scandinavian standard and has been perfectly maintained over the years. 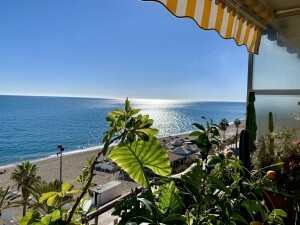 Located between Benalmadena and Mijas, good acces to the A7 and just a 5 minutes to the beach.